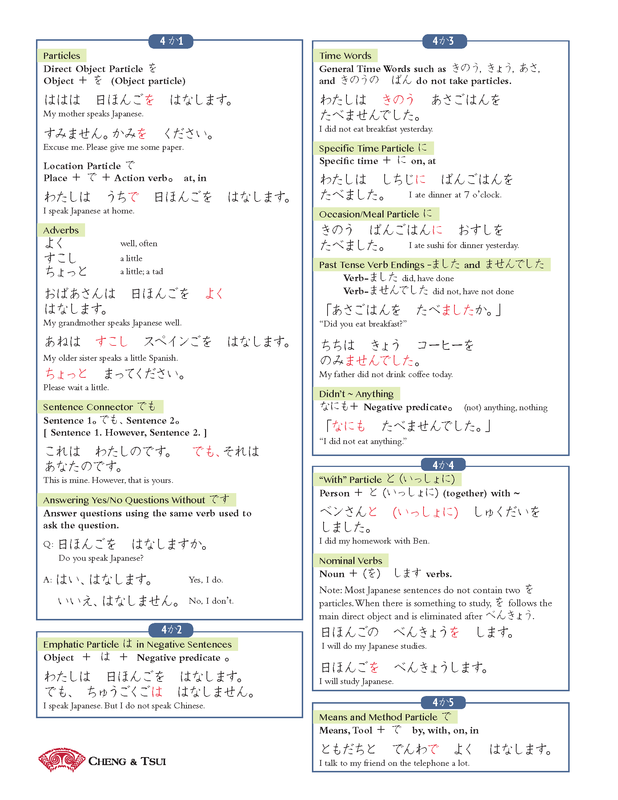 These Study Guides help you review the vocabulary, grammar, and kanji you learned in each lesson. The Study Guides can also be used as a reference for completing assignments, to preview upcoming content, and to prepare for tests and quizzes. How can we improve the Adventures in Japanese Series and Companion Website? Send us your feedback. ©2013 Cheng & Tsui Company, Inc. All rights reserved.